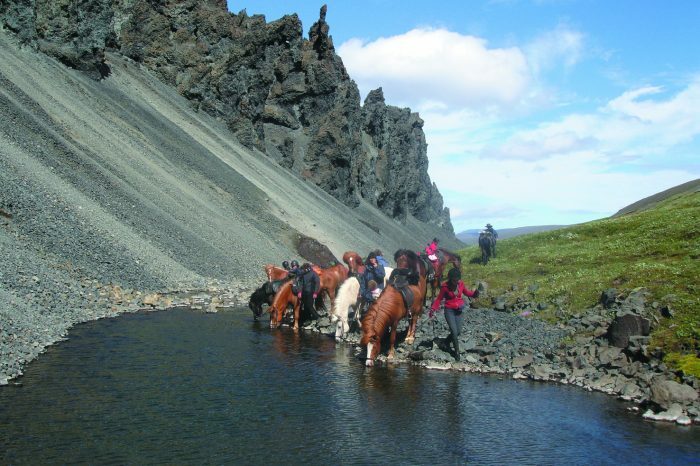 Iceland horseback riding tours. Ride Icelandic horses to waterfalls, geothermal hot springs and glaciers on an authentic vacation. Best horseback riding vacations, including dude ranches, horse safaris, Europe equestrian holidays and more from Equitrekking.